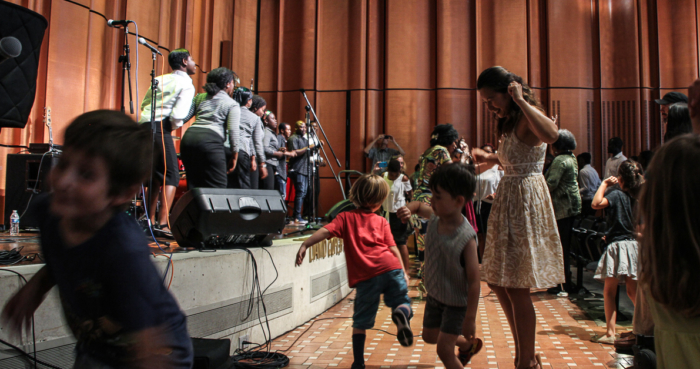 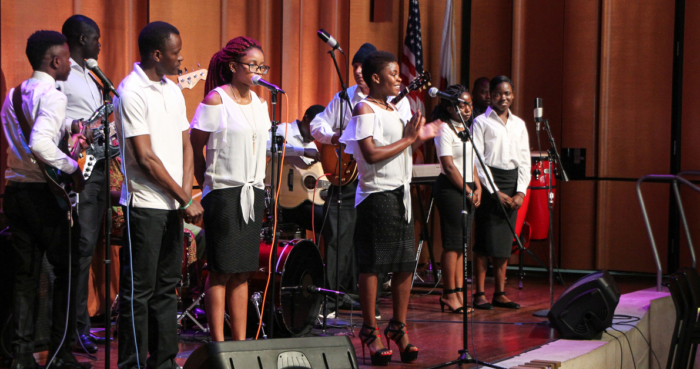 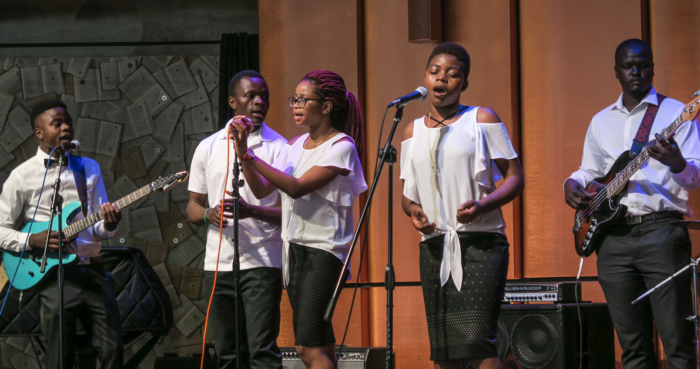 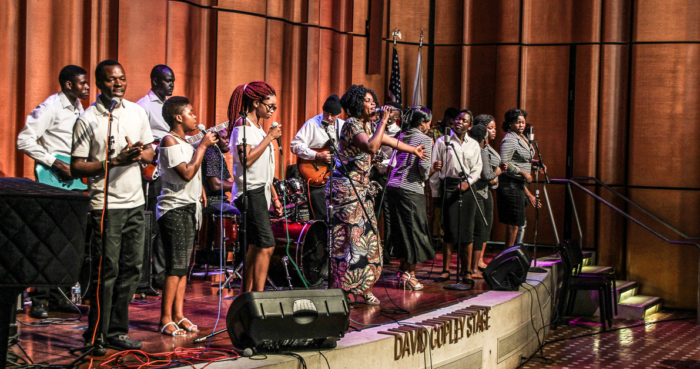 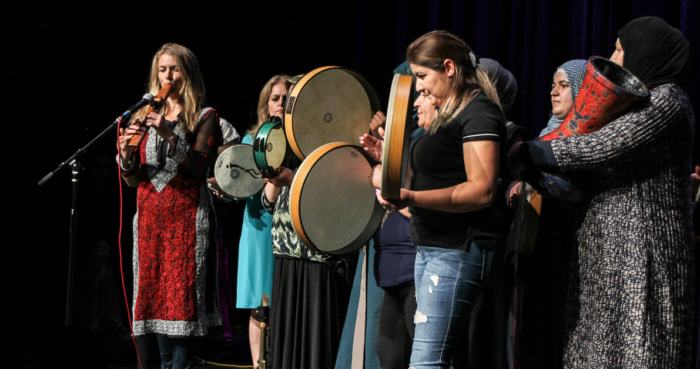 Please take a look at this fine KPBS video report on the CWM’s June 21, World Music Day program Songs and Stories: Transformation Through Rhythm & Word. 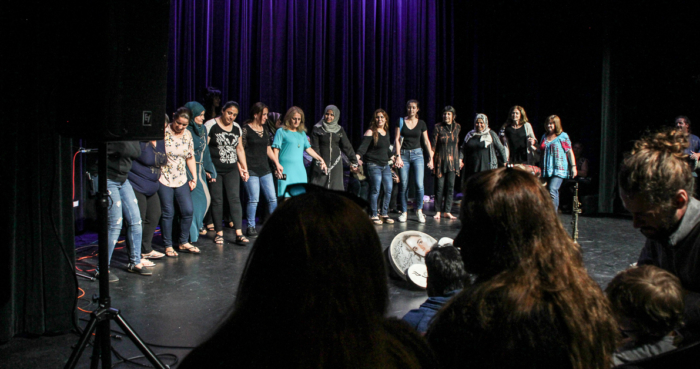 Refugee communities from Iran and Irag participated in this event at the City Heights/Weingart Library and Performance Annex. 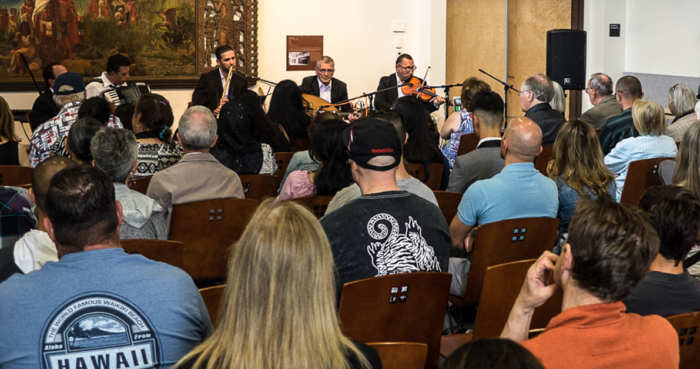 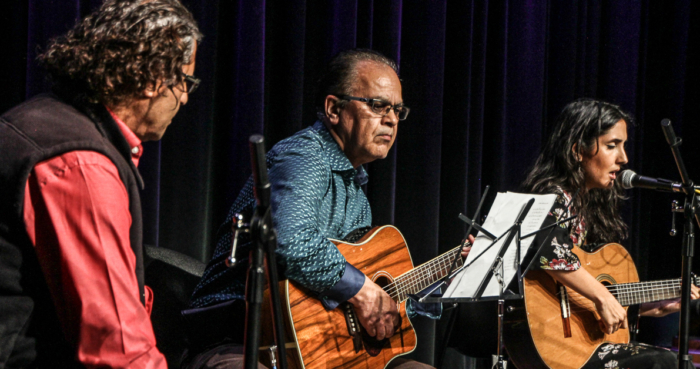 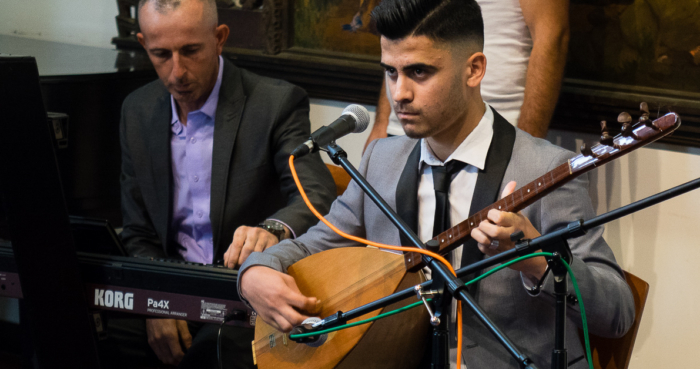 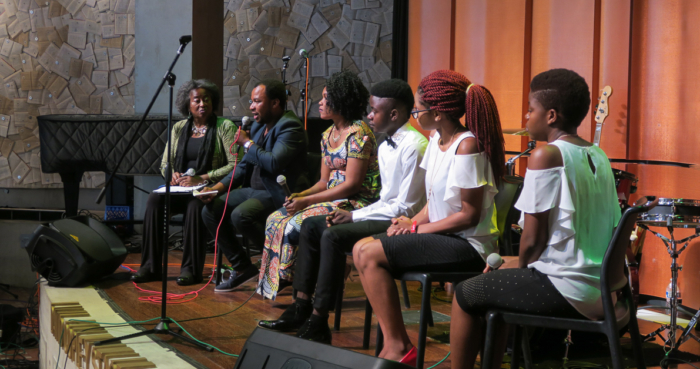 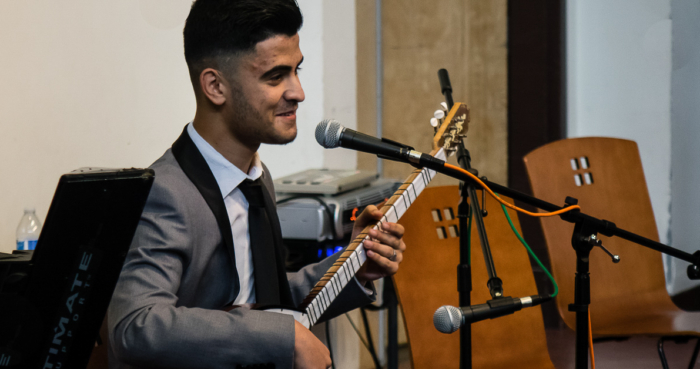 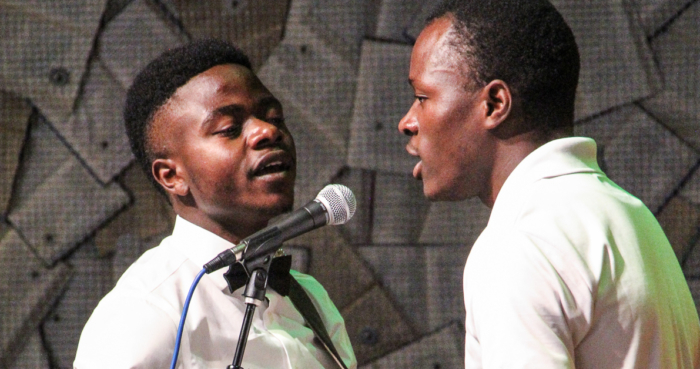 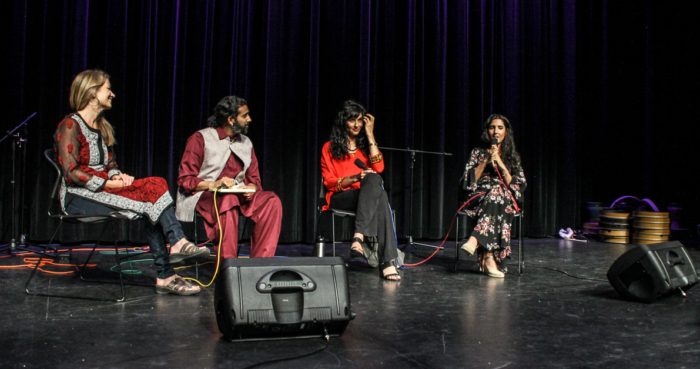 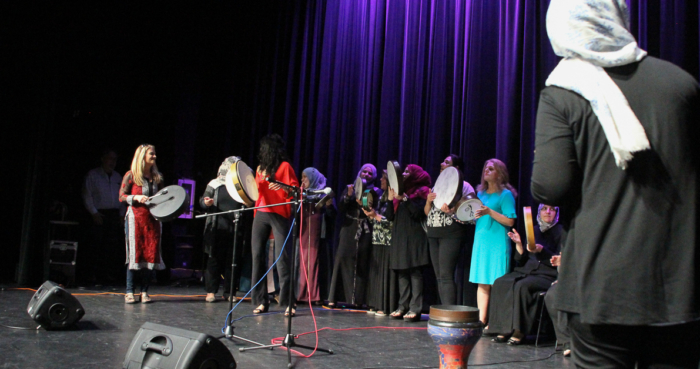 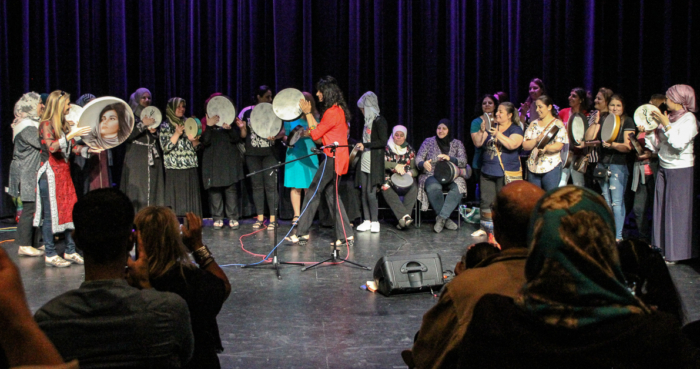 The event was part of the CWM’s 2018 series Songs and Stories: Refugee Artists from San Diego. 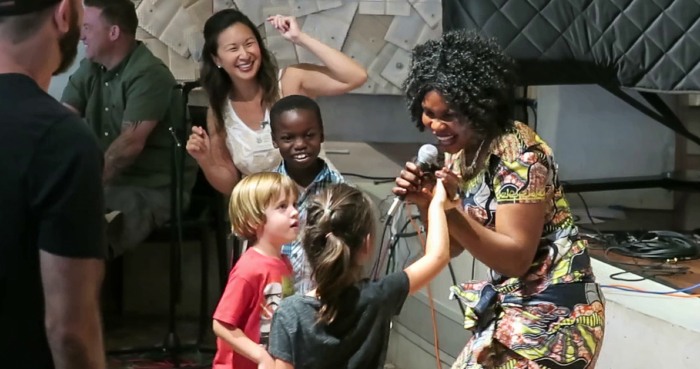 The video report was produced by Mika Kanke and Brian Meyers at Media Arts Center San Diego, with help from Speak City Heights. 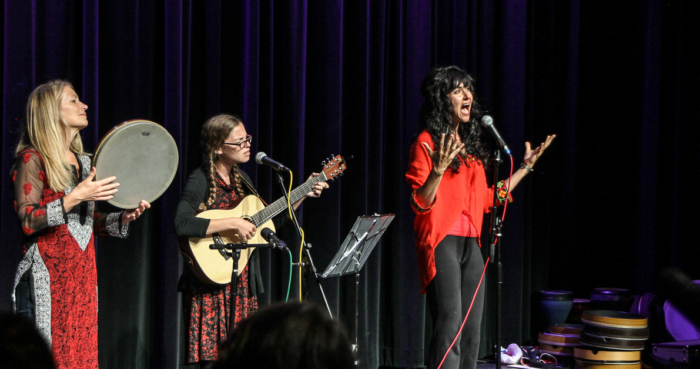 Thanks to them as well as to the crew at our favorite television station, KPBS, along with our friends at the San Diego Public Library. 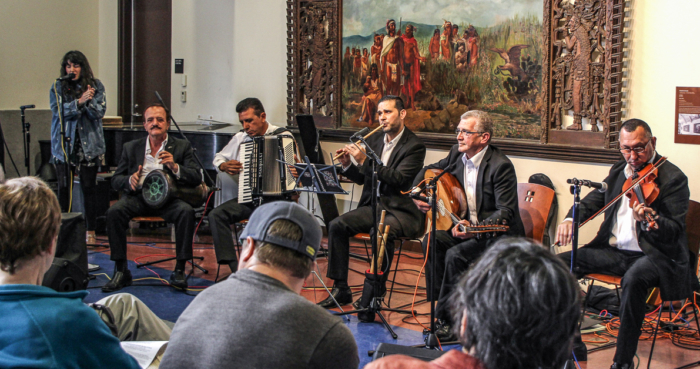 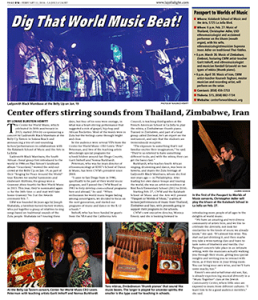 The Center for World Music’s upcoming Passport to Worlds of Music series has been featured in the La Jolla Light. 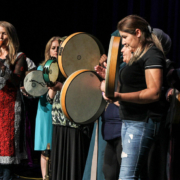 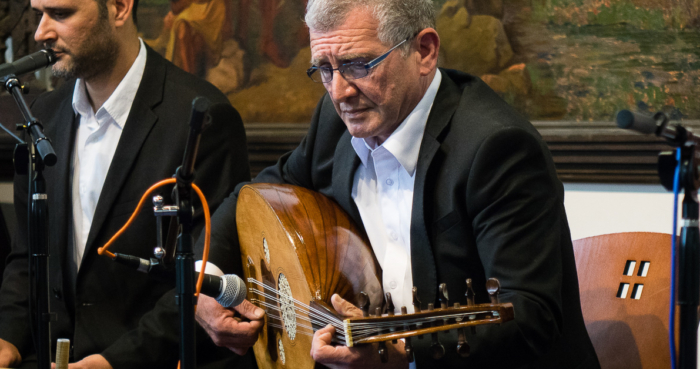 Kourosh Taghavi, master of Persian classical music and pillar of the CWM’s World Music in the Schools program, is featured in an article by Amanda Kelly. 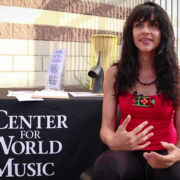 The San Diego Participant Observer is published online by the Worldview Project. 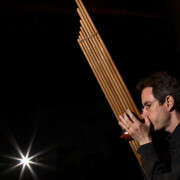 It is a great source for keep up-to-date on cultural goings on in San Diego and environs. 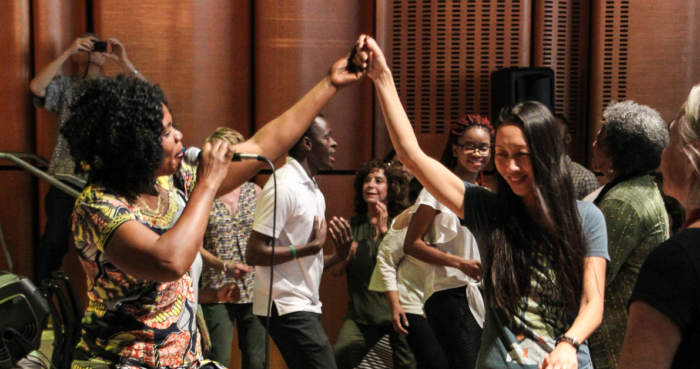 Thanks to Tom Johnston-O’Neill and the dedicated crew at the Worldview Project for their support of World Music in the Schools and other Center for World Music projects! 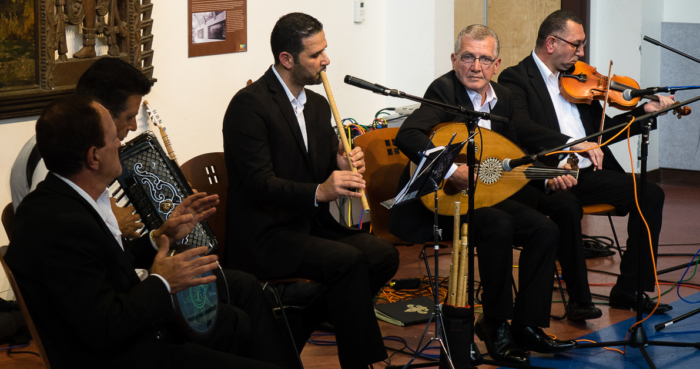 The Mystic Music Festival (September 22-30) brought performing artists from Iran, Tajikistan, Pakistan, India, Indonesia, Comoros, Bolivia, and Spain to Konya, Turkey, site of the tomb of Jalaluddin Rumi, the 13th century founder of the Mevlevi, or “Whirling,” dervishes. 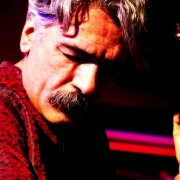 Nice videos of performances by Sain Zahoor of Pakistan and Kayhan Kalhor of Iran . 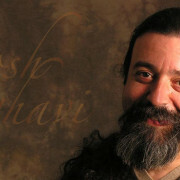 . .
Rumi’s idea of finding the ‘Beloved’ through the human heart, and his message of tolerance seem particularly relevant today, given the Islamic State crisis lurking nearby on the Turkey-Syria border. . . . During the festival, big sema ceremonies (recitations of Koranic verses, along with music and whirling) held in a specially-built building, as well as more informal musical gatherings and sessions in hotels and other venues throughout the city.